Ukrainian President Petro Poroshenko today demanded Russia's Vladimir Putin halt arms supplies to rebels as the leaders of France and Germany tried to revive a peace plan. 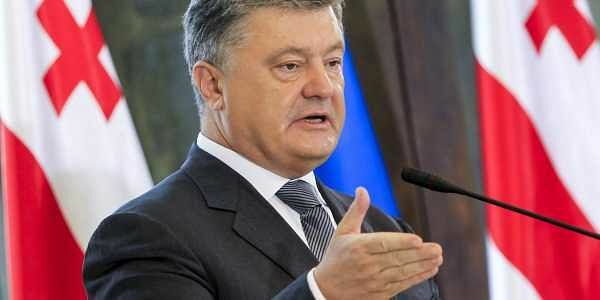 KIEV: Ukrainian President Petro Poroshenko today demanded Russia's Vladimir Putin halt arms supplies to rebels as the leaders of France and Germany tried to revive a peace plan. After a spike in violence, the four leaders discussed the Ukraine crisis for two hours by telephone in the latest round of talks aimed at stopping a conflict that has killed 10,000 people since April 2014. Kiev and its allies in the West insist the Kremlin has sent troops and arms to back up the rebels, but Moscow continues to deny the evidence of its role in the conflict.